If you have heart disease, catching the flu can be dangerous and even deadly. This is because the flu can cause added stress to your body, which affects your blood pressure and heart function. A person with heart disease is also at high risk for stroke and heart attack in the week following recovery from the flu. “Anyone with heart disease should receive a flu shot in October or November,” says Duc T. Nguyen, DO, interventional cardiologist at Saint Francis Medical Center. When you come in for your shot, make sure you receive the needle shot and not FluMist®, the live vaccine given as a nasal spray. 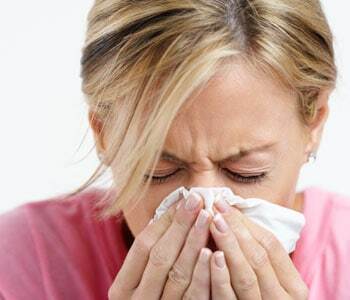 FluMist can cause the flu in some patients. Symptoms of the flu include fever, muscle aches, weakness, flushed skin, headache and sore throat. If you think you have the flu and also suffer from heart disease, call your doctor right away.